A long History of excellence, sadly struggling to keep up with its earlier Glory – A lunch here left us with a cold feeling & also food that was surely lower than expectations. Shiraz as a name rings a bell with Most Calcuttans (since the Days when Kolkata was Calcutta). I have had many good experiences in the past here like many others. Over the years I have seen a decline & had stopped going here & insead to the newly opened Arsalan. Similar experiences cud b heard from others as well. 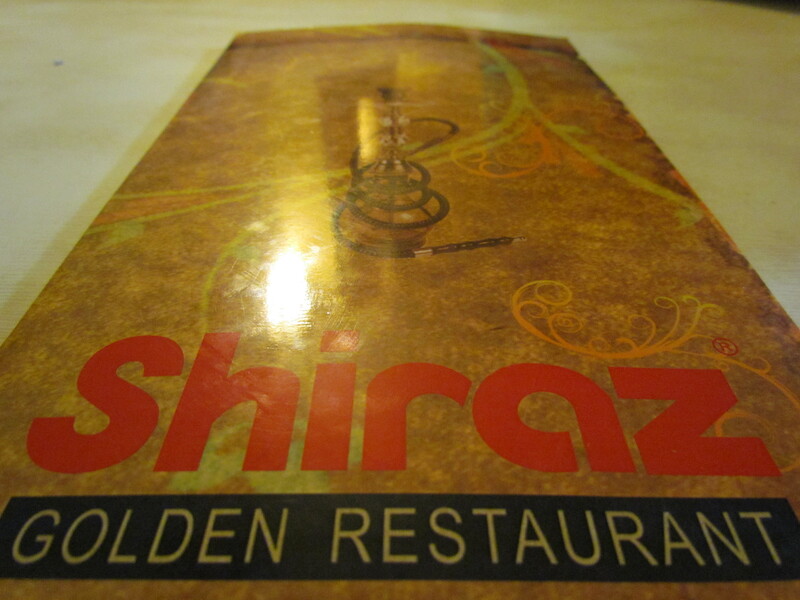 This time around I made it a point to revisit Shiraz & check it out myself……………. There are two restaurants at Park Street Mullickbazar area. One is a few shops away from the other. The newer one is closer to the crossing & the older one is a few shops away. The newer one is swankier as well. We decided to go to the Old one. The old restaurant has a non airconditioned ground floor & an airconditioned first floor. Furniture, look & ambience of the first floor is much upgraded as compared to the ground floor. The look at first floor was that of an old Eightees restaurant. Cubicles made with set of sofas facing each other. Lighting was dim. The staff of this place need a special mention. Some of them seem to walk out of a 70’s movie. They have been in the same job of waiting tables for decades, have got bored enough & that shows on their face every moment, appear at the tables like robots without any facial expression & at times frown if too many questions are asked. The uniform has quite a ‘Nawabi Khansama’ look. The relatively younger Manager who I guess was the only person in suit, was also quite serious faced. He was continuing to speak to me in English even though I was speaking in Bengali. It was then that I did what I do best – mentally poke. I striked a conversation on ‘what is popular her / what is legendary her, I have come from far to eat here/ what is ‘mash-hoor’ (famous) here etc & within 3 -4 sentences each, the customer – server barrier fell apart. We were talking to each other as two human beings & the interaction was excellent since then for the rest of our stay. The food is surely very good in isolation but as compared to others, this one takes a beating – Straight away from Arsalan Park Circus & surely from Aafreen, Metiabruz. We were unlucky to get stale meat in one of the dishes, very happy to get a replacement after we reported the same & even more disappointed when the replacement turned out to b stale as well. However, inspite of that, people throng to this place in thousands, more due to emotional reasons than pure culinary ones. 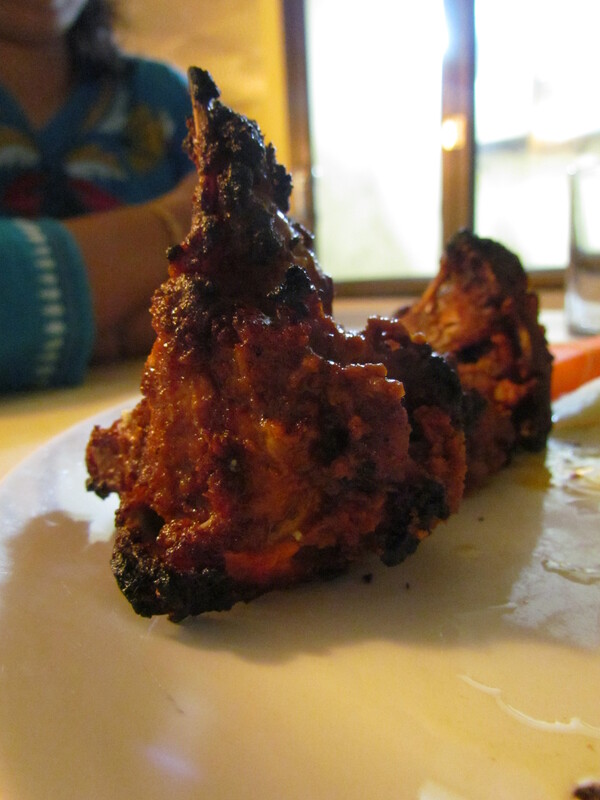 We started our Lunch with a starter recommended by our server – Mutton Burrah Kabab. He said ‘This is the best among all starters on offer’. We were served 2 pieces of the Burrah kabab, one of which turned out to be stale meat (first bite was horrifying). The other one was absolutely fine. It seems they were from two different goats. We complained about the meat & we were offered a replacement of both the kababs. We said ‘just replacing the bad one is good enough’. We were told that since Burrah takes 20 minutes to make, it wud take 20 minutes & it wud b good if we ate the biryani before the burrah. So did we. The burrah was perfectly spiced, excellent to taste but had a serious problem with texture. The pieces of the burrah that were hanging loose / the pieces towards the outside of the burrah was perfect. However the meat adjacent to the bone (1.5 cm from the bone) was raw & red (like in steaks that are rare). I personally did not dislike it coz to me it was like a steak with Indian spices but I am sure most people will not b able to appreciate it. Taste wise this get 4.5/5 & texture wise it gets 2.5/5. Overall the good Burrah gets 3.5/5. The replacement burrah was much better than the stale one but was just about 70% fresh. That was surprising & I have a problem with it – Once is an accident but second time is callousness (I heard the server tell the kitchen that this was a replacement). Stale one gets 0/5 & that takes the plate of Burrah to 1.75/5. 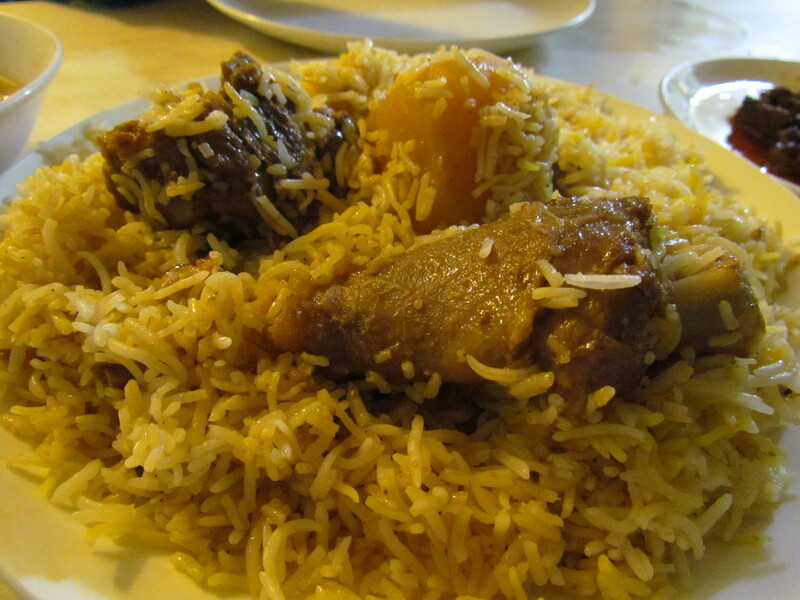 Shiraz serves Kolkata Biryani – for the uninitiated, Kolkata Biryani is an offshoot of Lucknowi Dum Biryani that was introduced to the population of Kolkattans when Nawab of Lucknow Wazid Ali Shah was deported from Lucknow to Kolkata by the British. The nawab brought with him his huge entourage of chefs & nauch girls. The chefs left a lasting impression on Bengali cuisine – Kolkata Biryani, Chhamp, rezala, korma etc are an integral part of Bengali cuisine now. Like the Lucknowi Biryani, the Kolkata Biryani is also slow cooked under low fire by sealing the container (Dum cooking) & the meat & rice is cooked together so that the flavors of the meat & the rice intermingle. 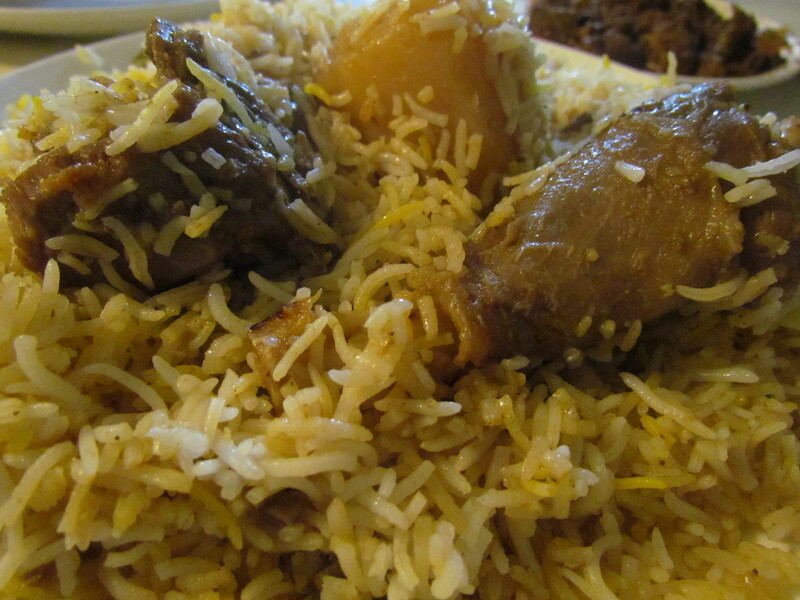 The Biryani is characterized by flavorful long independent grains of rice that are super-soft melt in the mouth & meats that r super soft & least fibrous (due to long period of cooking). A whole potato & a boiled egg is also customarily served. There is hardly any salan served anywhere with Kolkata Biryani. We ordered the Shiraz Special Mutton Biryani. The rice was long but not extra long. The grains of rice were independent but not super-soft ‘melt in the mouth’. The flavors & taste was however very good. I wud give this 3.5/5. The meats were not at all super soft. They were not as hard as well. They were just about ok – If I were served this food at some outlet in Gurgaon, I wud have maybe accepted it. 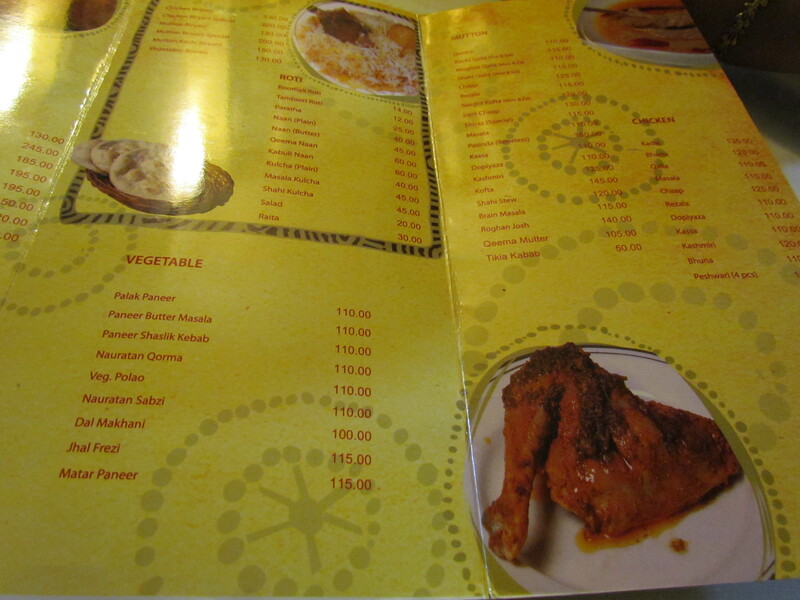 However, sitting at Shiraz in Kolkata, this was far below expectations. Good in terms of taste & flavors again. I wud say the meat gets 3.5/5. We ordered two side dishes with the Biryani. One was a Chaap that has been famous for decades. 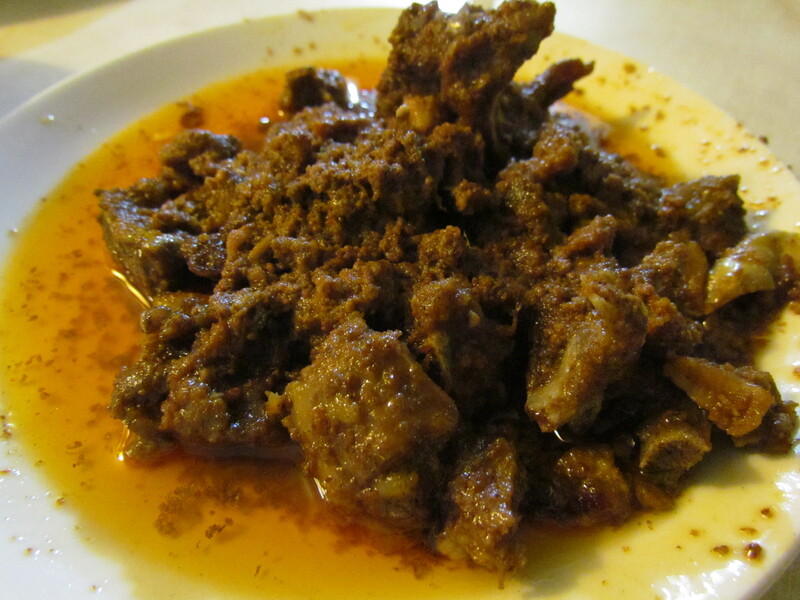 Chaap is mutton rib marinated in masalas & tawa cooked over a long time. 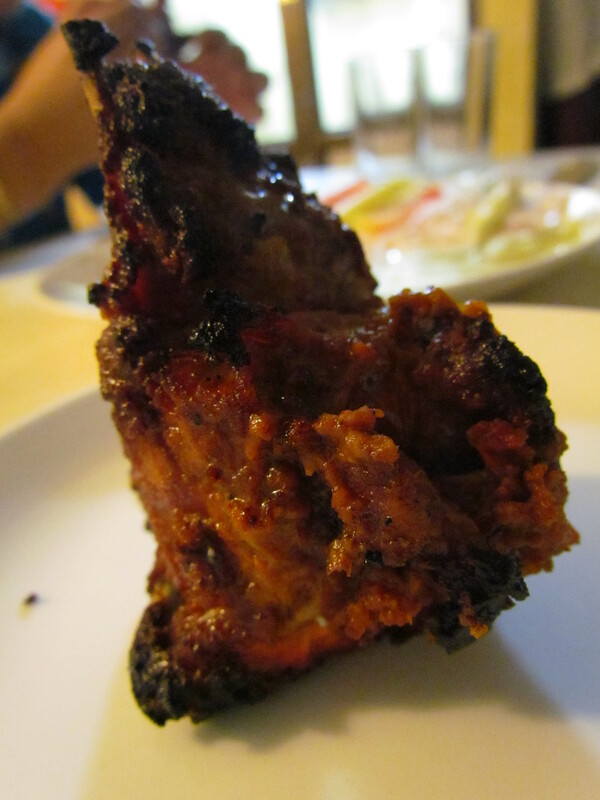 The pieces were not presented like usual mutton chops but as abruptly chopped mutton rib pieces. That made the eating part quite weird – difficult to make out which is the meat & which is the bone. Taste wise it was very good & so were the flavors. I wud give this 3.75/5. We also went for Mutton stew. 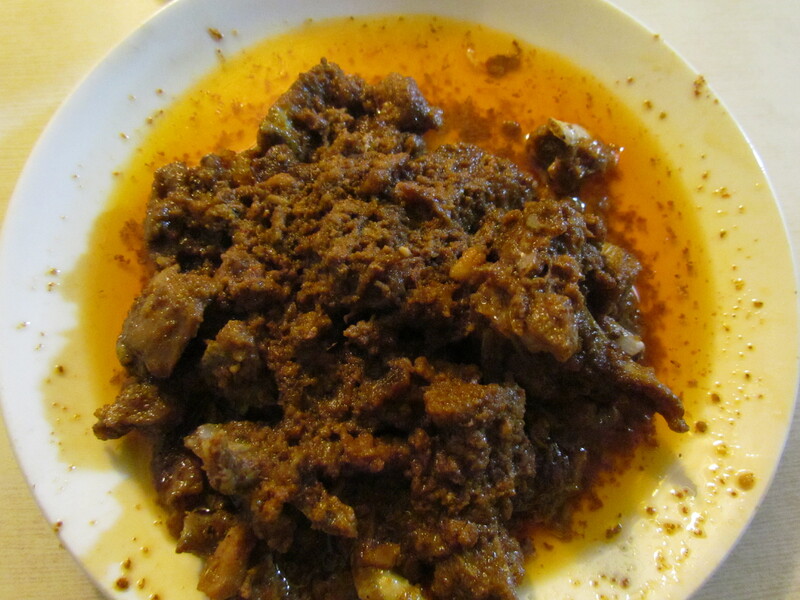 This is not at all linked to the European Mutton stew – infact they wud faint on seeing this stew. 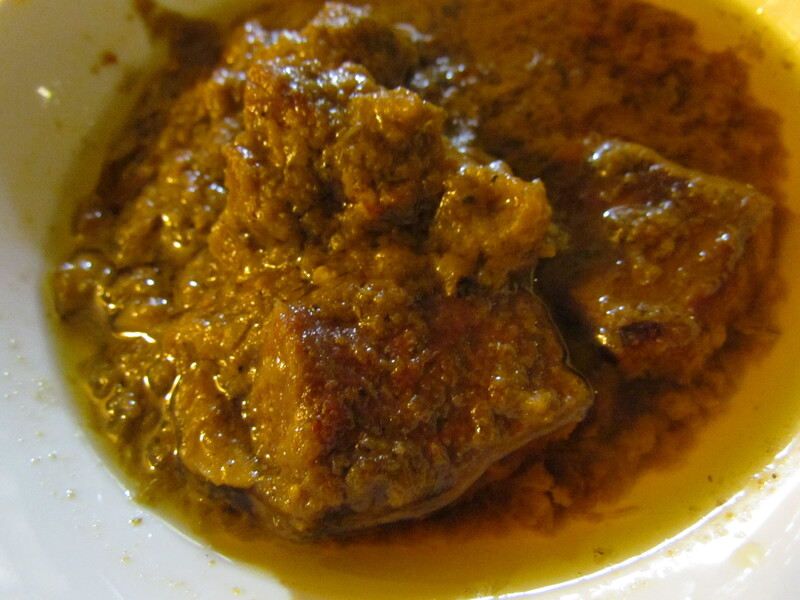 This is a mutton curry with loads of ghee, spices & an oniony base. The taste of the gravy is awesome & so r the flavors. Some Mutton pieces were very soft & nice. Others were pretty fibrous. I wud do a 4.5/5 for the gravy & a 3/5 for the meats. That makes the overall 3.75/5. 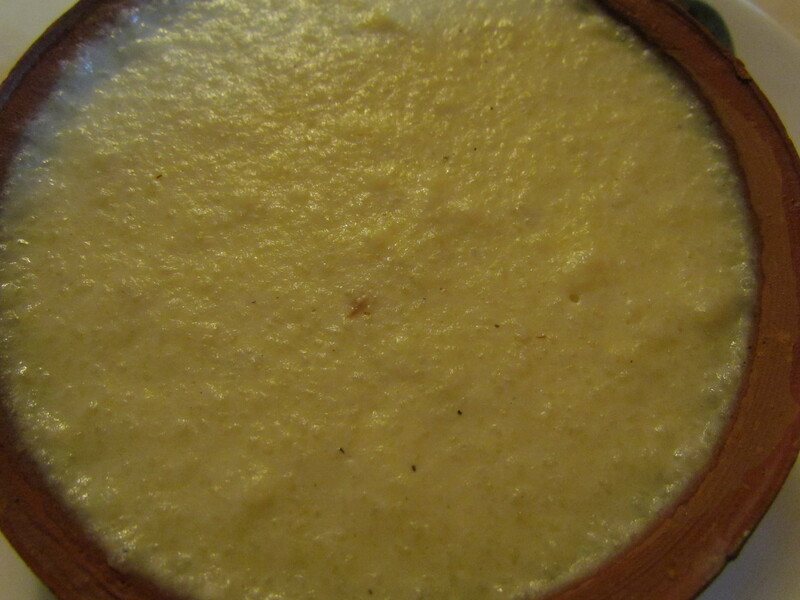 We ended the meal with Phirni – the photo of the phirni on menu card showed strands of saffron. 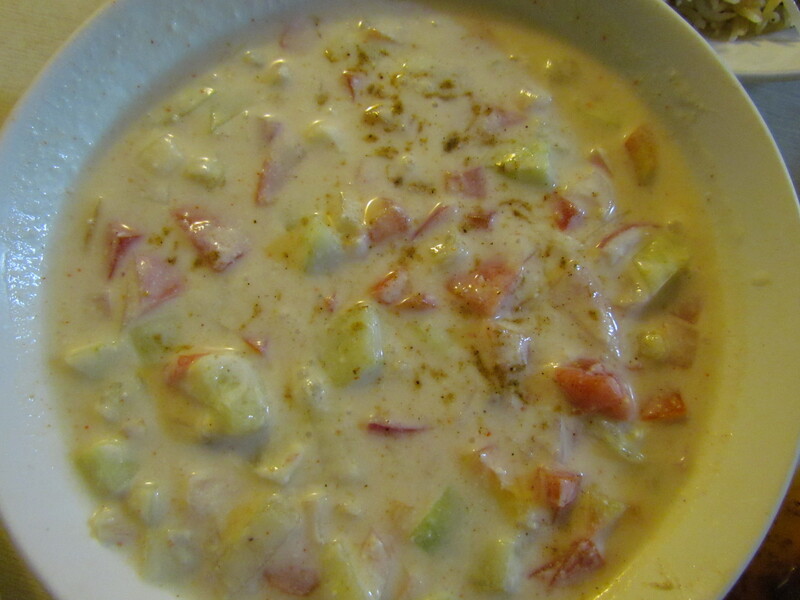 The phirni served to us had not even one strand. The taste was very flat & quite boring. To finish it was becoming a challenge. I wud give this 2/5. Thus taking into consideration all individual dishes, the overall score comes to 3/5. 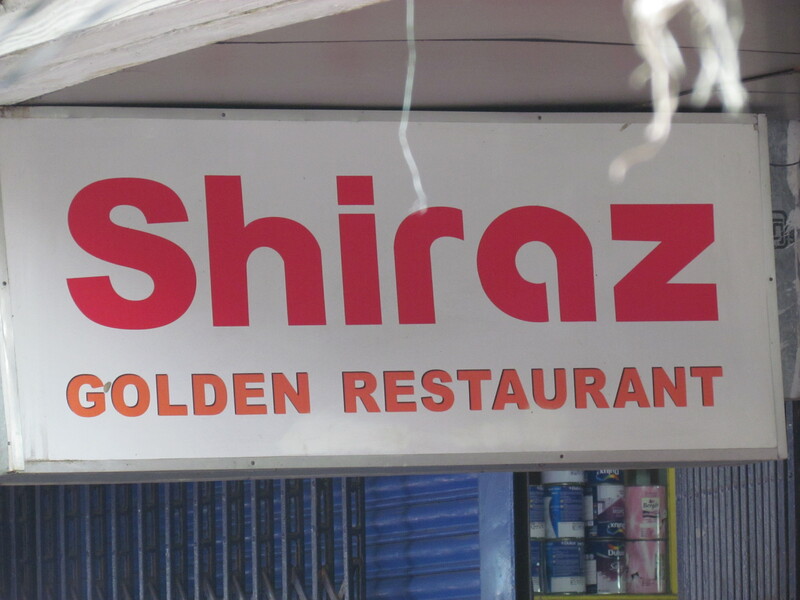 The newer Shiraz Golden restaurants in the other parts of the world seem to be doing good but the old original one is in a state of neglect. I hope someone from the Management reads this & does the needful.